Holiday travel is a magical experience. The food, the decorations, the traditions, the festivities… and Egypt is no exception! You might not consider Egypt at Christmas , after all, it is a Muslim-majority country—but you’ll find that Egyptians do indeed get into the festive spirit. Plus, a sizeable minority of the country (about 10%) are Coptic Christian, belonging to the Coptic Orthodox Church of Alexandria. Coptic Christians follow a different calendar than, say, Roman Catholics. For Copts, Christmas falls on the 29th day of the month Koiak, which parallels the 7th of January in the Gregorian calendar (and the 25th of December in the Julian one). The Coptic calendar is based on the solar calendar used back in ancient Egypt. In any case, the important thing to remember is that Christmas in Egypt is celebrated on January 7th, so if you want to witness a “true” Egyptian Christmas, plan your travels accordingly! That said, Christmas festivities are often abundant during December as well. Attractions and hotels geared toward tourists know that most people celebrate Christmas on December 25, and many plan special events during this time too. So if you want a nice, extended Christmas holiday, stretching from mid-December well into January, Egypt is the place to be! Cruising down the Nile and exploring ancient temples is certainly a unique way to spend the Christmas season. And don’t worry; it will definitely feel like Christmas. 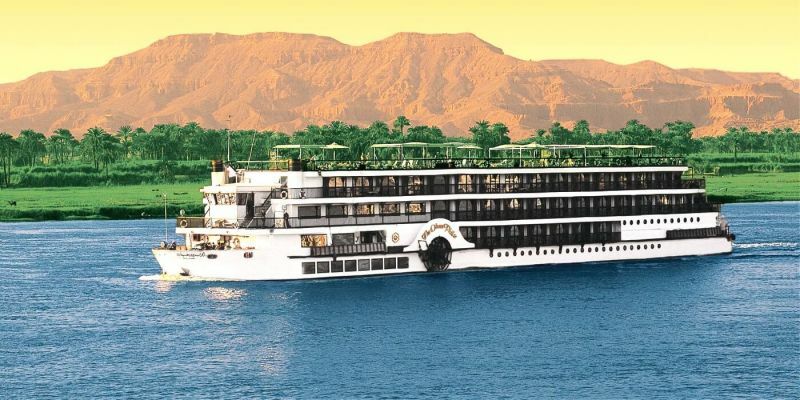 Nile cruises delight their guests with festive meals, music, décor, parties, and entertainment. The Nile River is also the perfect place to usher in a new year. Toast to the health of everyone on board and look forward to creating many wonderful new memories. Ever daydreamed about spending Christmas somewhere on a beach, surrounded by white sands, turquoise waters, and palm trees? 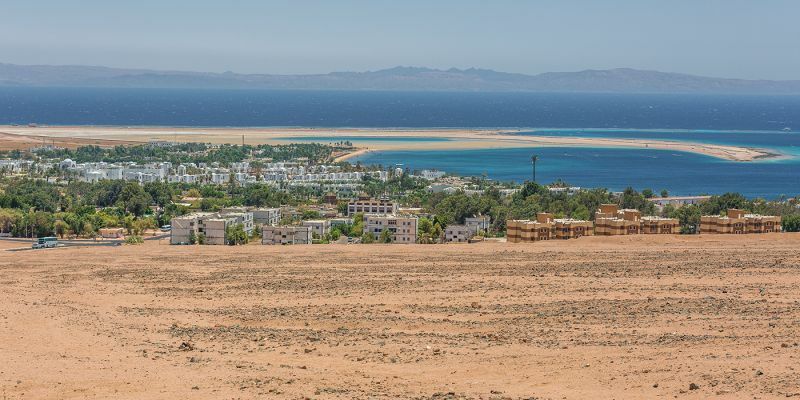 Time to head to Hurghada, Sharm El Sheikh, Marsa Alam, El Gouna, or Dahab for Christmas in paradise. These idyllic coastal locations have some of the world’s best snorkeling and SCUBA diving and allow for total relaxation. For many of us, the holidays are a precious time to unwind from work and stress, and what better place to do that than the Red Sea? Hotels in these areas tend to go all-out for Christmas, stringing up lights and serving lavish buffets. Once you’ve left the beach behind, you’ll return to find the holiday spirit alive and well at your hotel. In the weeks before Christmas, Copts generally abstain from animal products—no milk, eggs, or meat. This form of fasting is an important spiritual practice, and it makes the eventual Christmas feast even tastier! Coptic Christians typically attend a nighttime Mass on Christmas Eve (January 6). 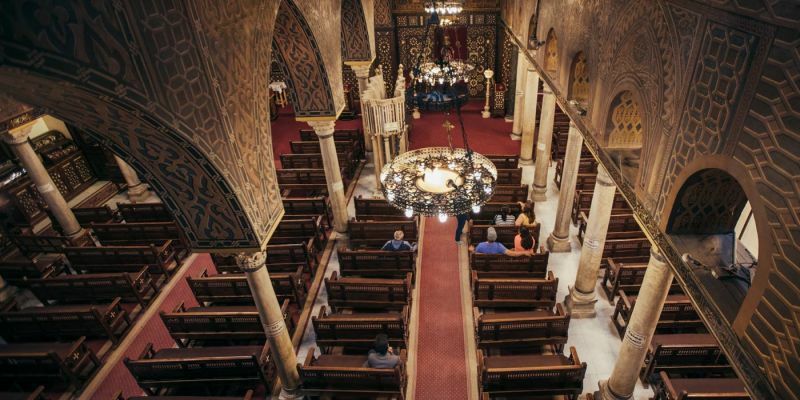 One of the biggest of these services occurs in St. Mark’s Cathedral in Cairo, celebrated by the Coptic Pope. Afterwards, people gather at home to feast on traditional Christmas foods, such as fata, a type of soup. On Christmas Day itself, they spend time with their families, eating, relaxing, exchanging gifts, and celebrating. Kahk, sweet sugar-powdered biscuits, are a special treat. Christmas is an especially beloved time in Egypt due to its associations with the Holy Family’s flight there shortly after the birth of Jesus. When King Herod decided to massacre newborn babies, Joseph, Mary, and Jesus took refuge in Egypt (Matthew 2:13-23). Many Egyptians remember this story fondly, and it certainly reflects the warm hospitality of Egyptian culture. 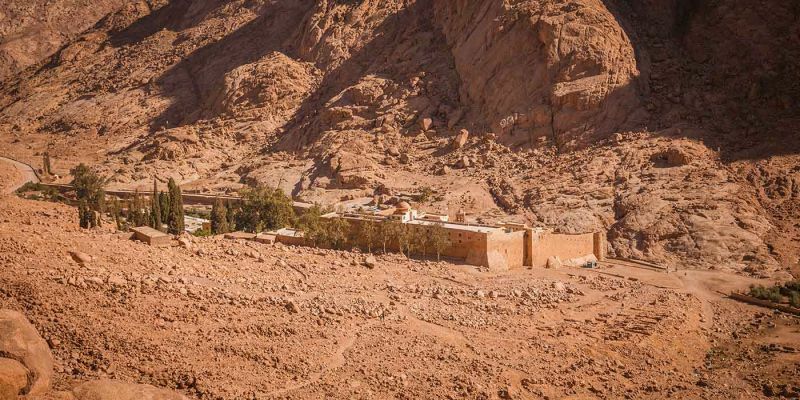 If you want insight into historic Christian traditions, there’s no better place than St. Catherine’s Monastery, known officially as the Sacred Monastery of the God-Trodden Mount Sinai. It was built in the 6th century under the orders of Byzantine emperor Justinian and remains in operation today. You are welcome to visit as a pilgrim, keeping in mind the respect owed to this ancient spiritual site. Note also that the monastery is closed on Fridays, Sundays, and holy feast days (including Christmas and New Year’s), so arrange your travel to coincide with its opening hours. Another highlight of this area is the hike up Mount Sinai, held to be the place where Moses received the Ten Commandments. There are two basic routes for this hike: the so-called “Steps of Penitence,” which is an apt trail for the Advent season, and a wider, more leisurely path that can be ascended either on foot or by camel. Atop the mountain is a small chapel. Egypt is home to one of the richest and most varied histories in the world. As you visit this incredible country, you’ll experience the wonderful cultures and traditions that make it unique. 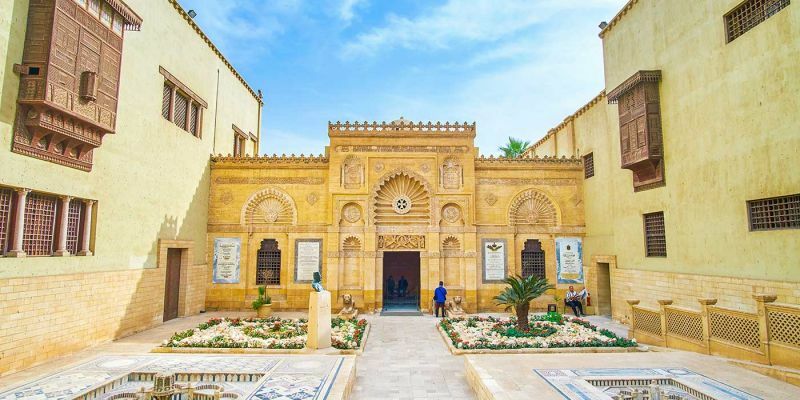 The Christmas and New Year’s holiday season is an excellent time to visit, whether you are deeply interested in Coptic culture or you simply love Christmas. One final thing to know? “Merry Christmas” in Egyptian Arabic is “Eid Milad Majid.” Enjoy your holiday!